The Italian Ministry of Environment has invited 3P Engineering on October 24 to present LIFE CHIMERA project to the Croatian National Contact Point for the LIFE Program in Rome, within the realm of the capacity building project “HR NCP – MENP – Capacity Building for Croatia’s National CP for the LIFE programme – Ministry of Environment and Energy”. 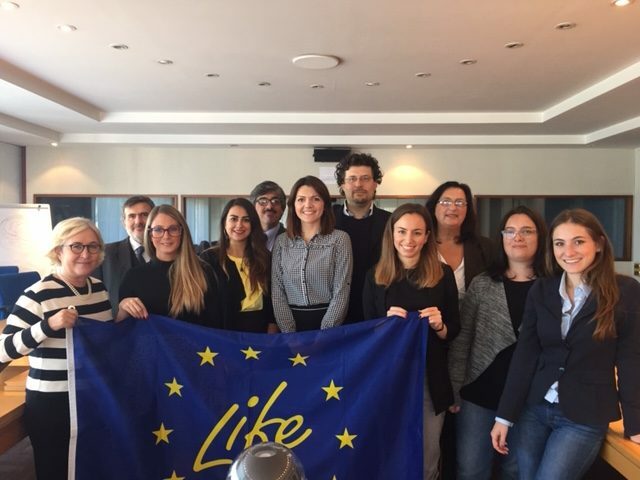 Capacity building projects aim at strengthening the participation potential of some EU member states to the LIFE Program also through visits to those countries that are considered more virtuous, like Italy. Within this context, LIFE CHIMERA thematic area is of high interest for Croatia. 3P Engineering took part to the meeting with other three LIFE projects: CHOO-NA, on the increase of interest of youth in environmental issues; LIFE MATHER, on the full material and chemical monitoring data for the protection of the human health and environment; LIFE_SC, on the development of a sustainable tourist mobility programme on the Argentario Coast of Tuscany, Italy. This was a great occasion for networking and visibility. Also, Ministry of Environment proposed us to write an article about CHIMERA to be published on the May 2019 edition of the magazine “LIFE project of the month”.